How to make bacon from scratch is easier than you think. You can cure bacon without nitrites, since that is a specialty ingredient. 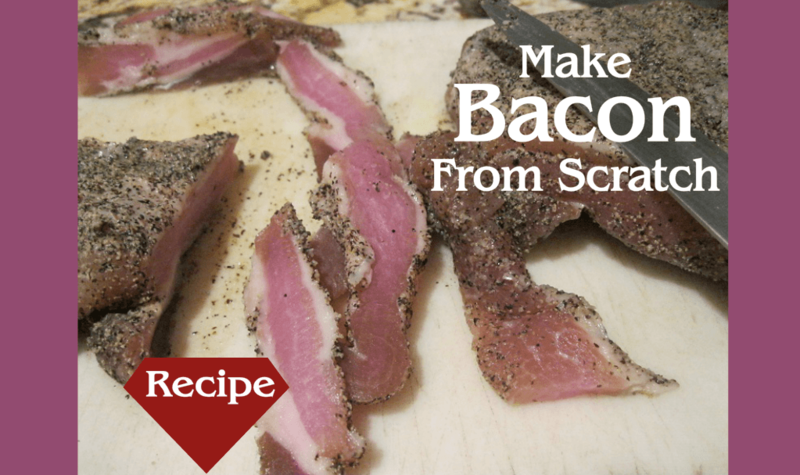 This how to make bacon recipe is without nitrates or nitrites. Your biggest decision will be, once cured, whether you want to smoke it or not. This bacon recipe is without smoking. Who wouldn’t? – it’s fatty and salty and when cooked right, it’s crispy. Is your mouth is watering already? Probably the most difficult aspect of this making bacon recipe is finding the pork belly to purchase. 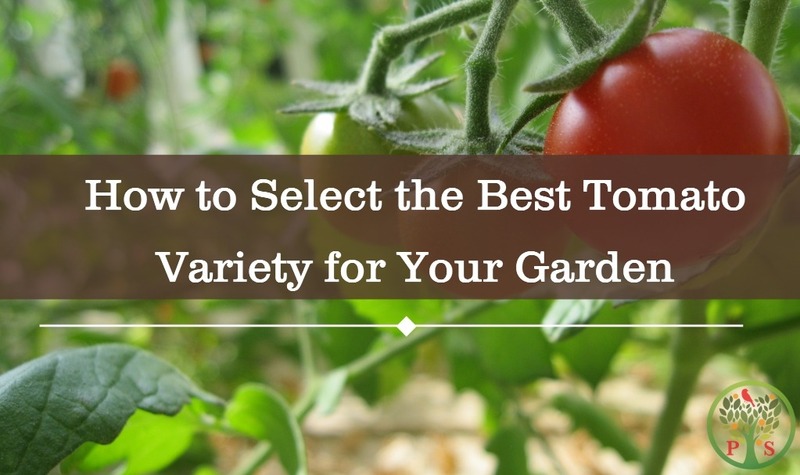 Try the local grocery store, but most likely you will need a small scale butcher shop since it’s not typically found on the shelves. 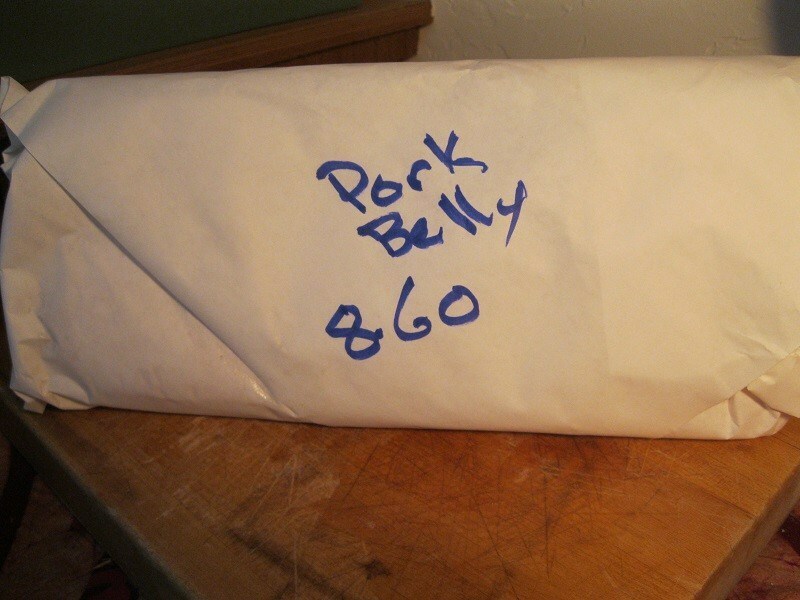 Sometimes you can special order, pork belly that is. That’s a lot of meat. I was able to purchase a 2.5 piece for $8.60. Not bad, considering on pound of bacon in the store can run about that. My piece of belly fat came with the skin on. If you are going to use the bacon for a bean recipe you can skip this step, but I wanted to eat it like normal bacon. I removed the skin and set it aside for other purposes (Chicharron anyone?). Mix the dry ingredients together in a bowl. Other ingredients can be used as a dry rub, but for your first attempted this is a great place to start. 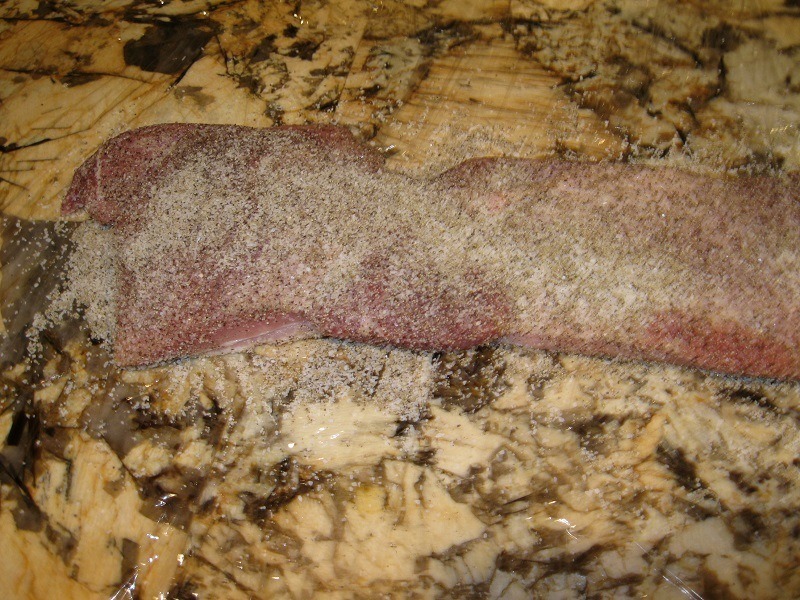 Rinse the pork belly and pat it dry with paper towels or a clean dishcloth. Lay the bacon-to-be out on top of a layer of plastic wrap. The plastic wrap should be large enough so that, when folded, it covers over the bacon completely. 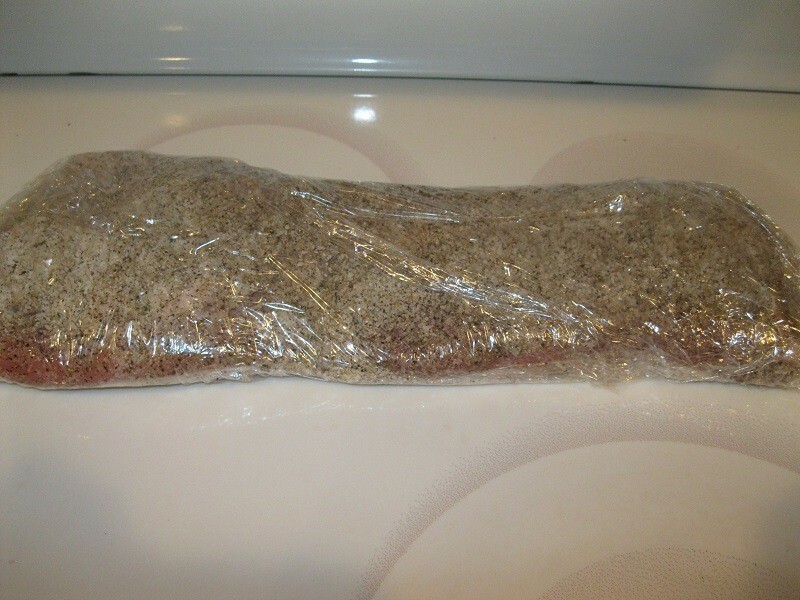 Rub the dry ingredients on both sides of the bacon and then wrap the bacon well in plastic wrap. The rub should be applied thickly over the pork belly. All sides should be thoroughly coated to draw as much moisture out of the meat. Since the moisture will leach out of the bacon, putting it in a zip lock bag will keep your refrigerator clean. The bacon should be kept in the coolest part of your refrigerator, at a temperature below 40 degrees Fahrenheit. Flip the meat once a day. 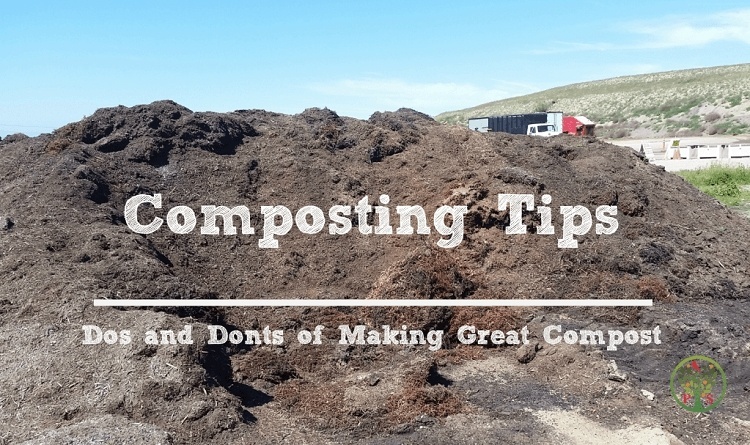 You can leave it for up to 14 days, but after 5-7 days it should be ready. 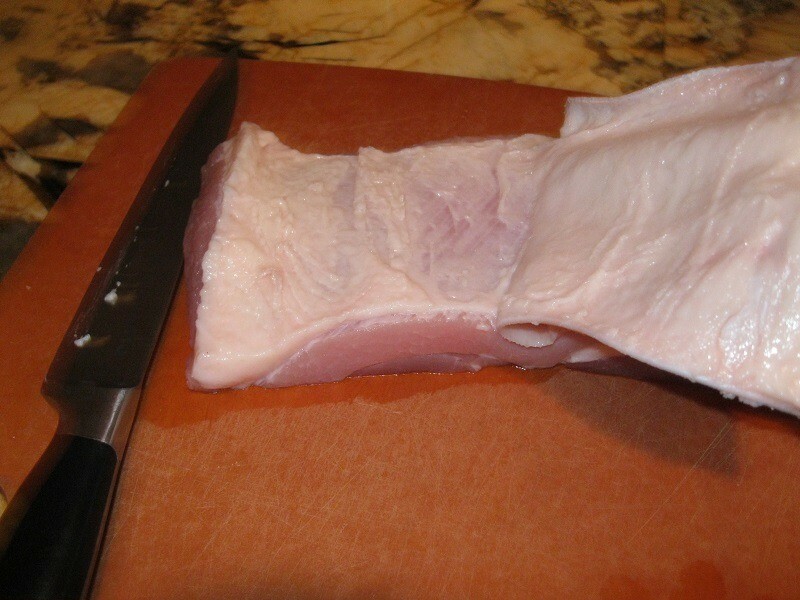 Step 4 – Rinse, Cut and Cook! Remove the bacon from the refrigerator. The bacon should have released most of the moisture at this point. Rinse the dry rub off. It you like bacon to be very salty you can leave some of it on. 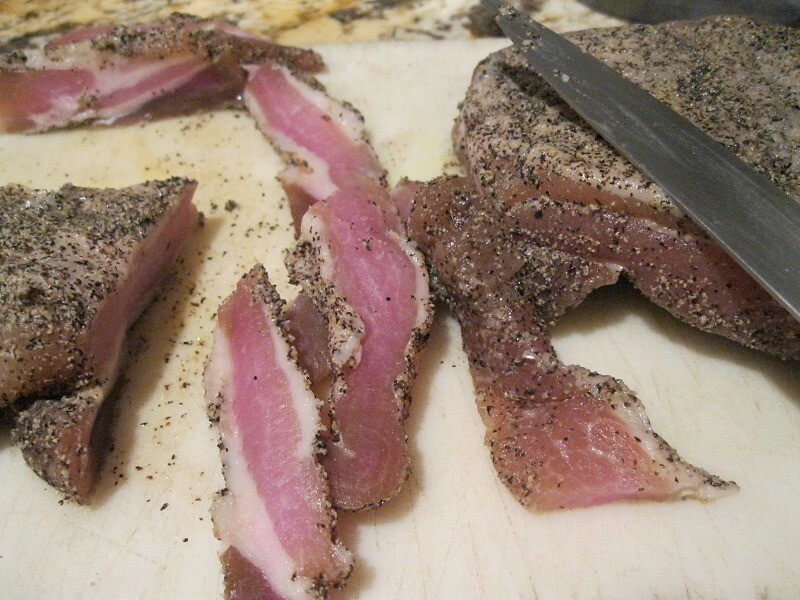 If you don’t like your bacon very salty at all, then after removing the dry rub and rinse again. You can soak it for a couple of minutes to reduce the saltiness too. The bacon should have a firm texture at this point and no soft spots. From here you can determine if you want to smoke it, or just cook the bacon. You can freeze the uncooked bacon before you cook. 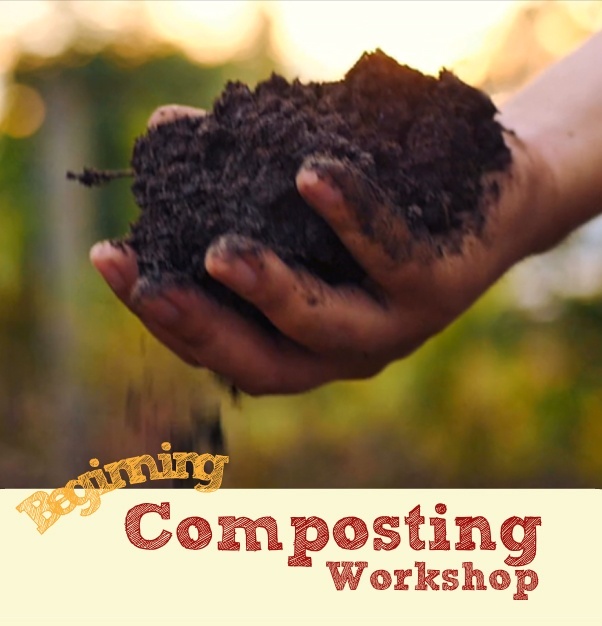 Cut into manageable chunks and wrap in plastic wrap and into a ziplock and freeze. If you don’t have a smoker, no worries. Smoking is not required and just adds flavor to the meat. Without smoking, the bacon can be cooked either slowly in the oven, or on the stovetop, if you just want to dig in right away. Cut the bacon as thinly as possible against the grain. In the oven place a single layer of the cured bacon in a 200F oven for about 2 hours, or until the internal temperature reaches 150F. It can cook longer if you want the bacon crispy. This bacon is ready to eat. If you have too much it can then be sealed up and placed in the refrigerator for about a week, or in the freezer fully cooked. On the stove, a cast iron pan will keep an even heat and is a great cooking medium. 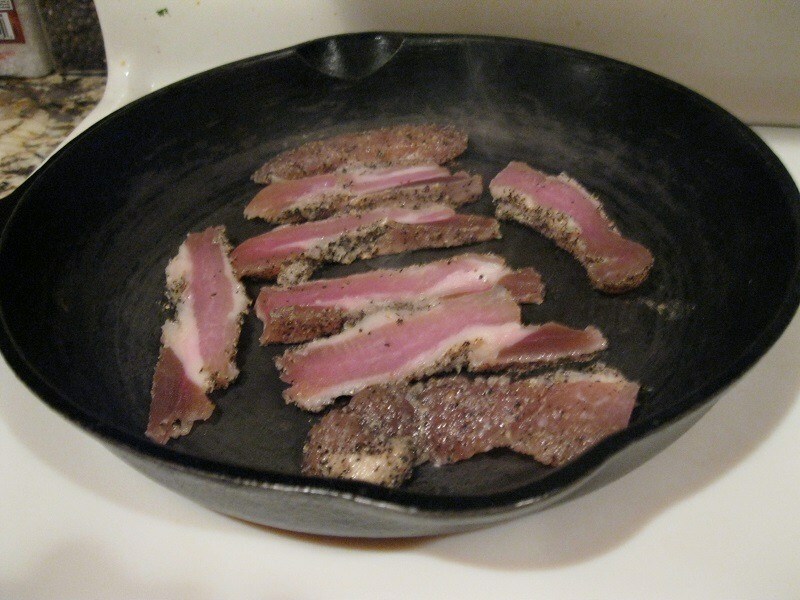 Place an even layer of bacon on the frypan and cook on medium heat until desired crispiness. Extra crispy bacon is great in soups if you haven’t tried it. 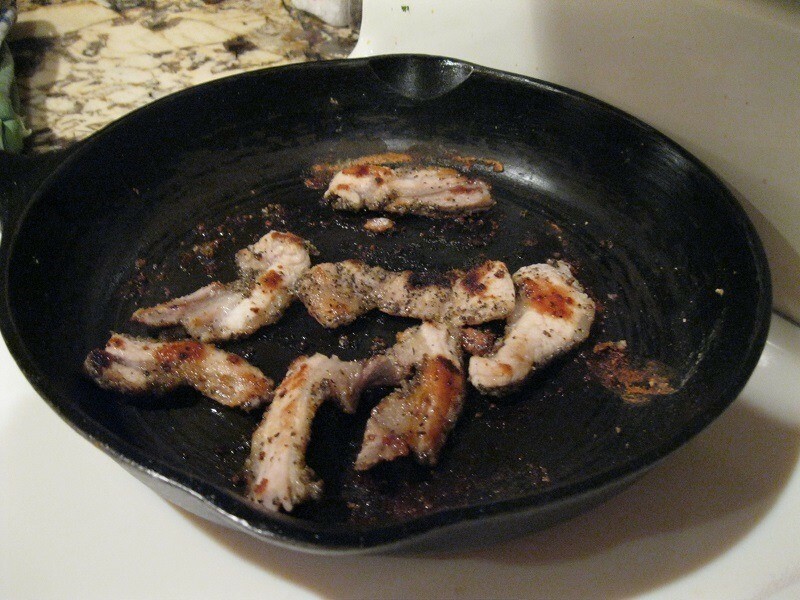 Cast iron fry pan makes bacon crispy. This how to make bacon recipe is for those who want to decide what goes into your food and the flavor you desire. It’s not hard, it just requires some patience to wait for it to be ready. Fully cooked, home made bacon. Yum!